So just when DID single-squeeze hubbing begin in the US? It’s a darn good question and the answer is a bit clouded. However, until lately, in spite of your webmaster for years repeatedly stating that it started in 1985 or 1986, (Fiscal Year 1986), everybody else kept quoting 1997 as the year of introduction. And they couldn’t have been more wrong! It really wasn’t until Coin World Editor, Bill Gibbs, recently asked me to confirm the accuracy of my statements in a feature article that I got to thinking. While it was Gibbs’ job to confirm my facts, which I did by directing him to the source, it was at this point I realized that many other folks probably needed to confirm these little-known facts first hand before they were going to believe them. After all, incorrect information had been quoted so many times by so many knowledgeable writers for so long that they had become fact in spite of being wrong! In effect, the true facts when quoted by this one “lone wolf” were going in one ear and out the other. So if you’re one of those folks who have been reading those erroneous reports for nearly a decade, it’s time to reeducate yourselves by seeing the facts for yourself first hand! Before reading the report note that it is for Fiscal Year 1986. The Mint’s FY for 1986 ran from Oct. 1, 1985 to Sept. 30, 1986 so we really cannot be sure from the report, which year they began their experiments with single squeeze hubbing. It could have been as early as the later part of 1985 but we can only be sure that at least by 1986 dies were being made via this process. 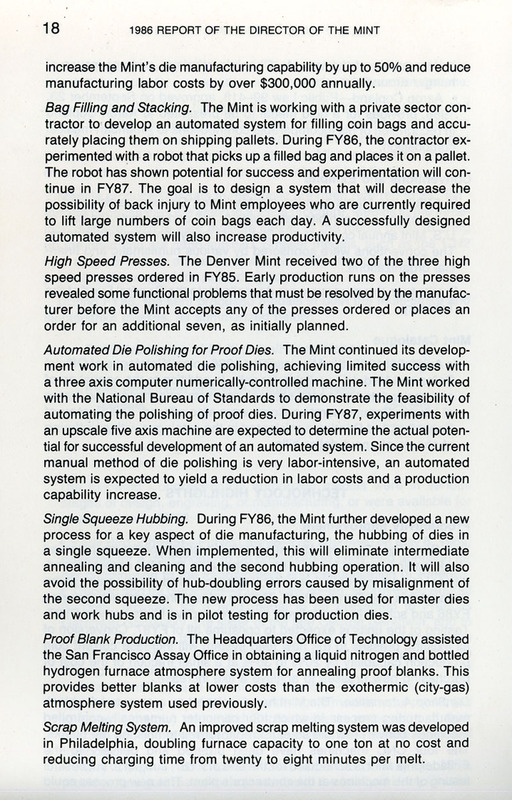 Their statement makes clear that by 1986 the process had been used for master dies, working hubs and was already in “pilot testing for production dies.” So where did those “production dies” go? My educated guess is that any that were of suitable configuration and quality got put into use! 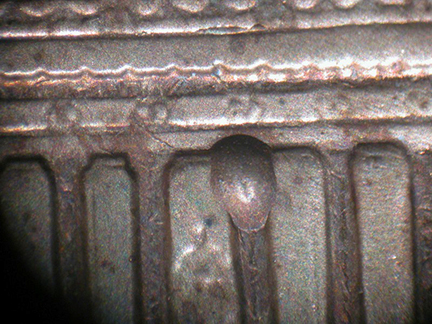 How else could they test the suitability of such dies in actual use other than to strike coins from them? 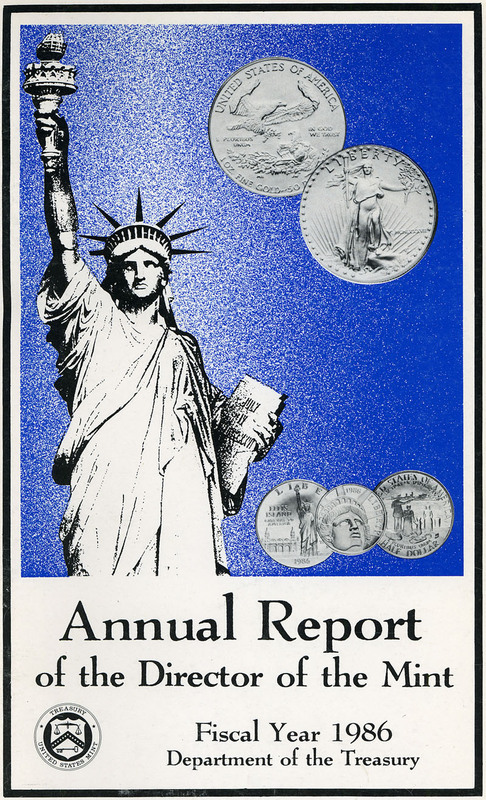 As you will see in future reports, knowing the correct date can be a helpful addition to numismatic researchers!